Presented at Blue Ridge Assembly in Black Mountain, North Carolina, this symposium featured a full schedule of clinically-oriented lectures and hands-on medicine making classes. The lectures featured botanical therapies for endocrine imbalance, inappropriate weight gain, gut permeability, environmental toxicant damage, chronic kidney disease, migraines, cancer, the microbiome in infants and children, infections, acute and chronic trauma, spiritual health and much more. Includes Jason Miller;s pre-conference intensive: The Digestive System and Neurological Health--Healing the Gut-Brain Axis with Botanical Medicine. Purchase the digital download of the lecture notes (PDF) and recordings (MP3) here on our website (see product listing below). Speaker: Christopher Hobbs. This is the science of how active constituents in plants are absorb..
Speaker: Vickie Shufer. Fruits are the seed-bearing parts of plants and include berries, nuts, ..
Speaker: Todd Elliott. A photographic exploration of the fungi found on six continents and thei..
Speaker: Walter Crinnion. The most active and powerful quencher of free radicals in the body, g..
Speaker: Teresa Boardwine. Enjoy making and sampling these delicacies, while discussing how add..
Speaker: Christopher Hobbs. Part 2 continues with a further explanation of pulse and tongue diagnosi..
Speaker: Christopher Hobbs. 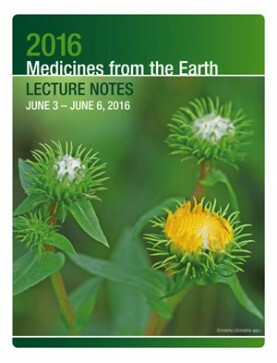 The bulk of this lecture describes Traditional Chinese Medicine pul..
Speaker: Robin McGee. Herbal oils are easy to make and can be used for massage, painful muscles..
Speaker: Jason Miller. Nearly 60% of Americans will develop CKD, at an annual cost exceeding $4..
Speaker: Teresa Boardwine. Learn how to make many different vaginal suppositories depending on ..
Speaker: Christopher Hobbs. Mushrooms have consistently shown immunomodulatory and anti-tumor e..
Speaker: Walter Crinnion. The daily toxicant burden is overwhelming, yet daily intake of common..
Speaker: Jason Miller. Continued from Part 1 this intensive explores the complex relationship betwee..
Speaker: Jason Miller. Part 1 of this intensive explores the complex relationship between the organi..